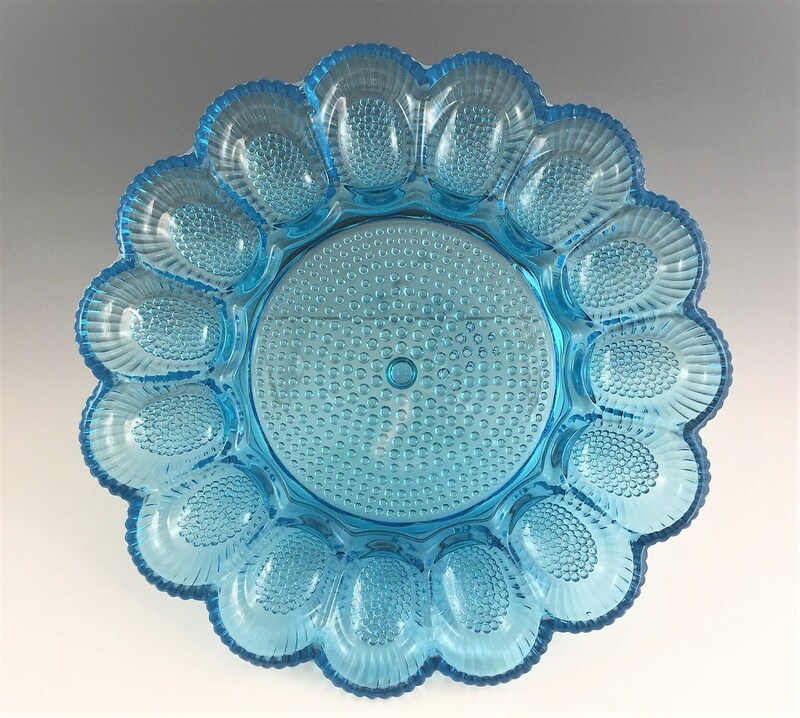 Featured is a stunning blue hobnail egg plate from Indiana Glass. 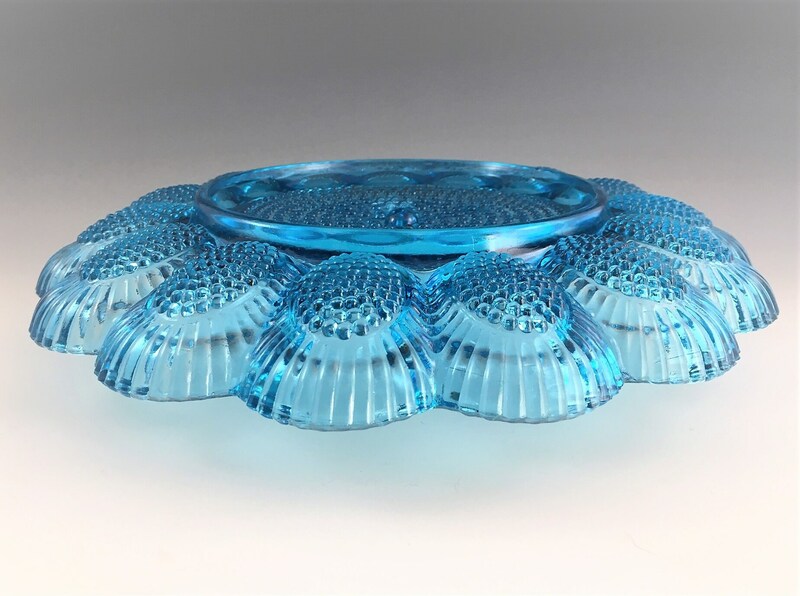 This piece was made in many colors, but this beautiful Horizon Blue is hard to find. 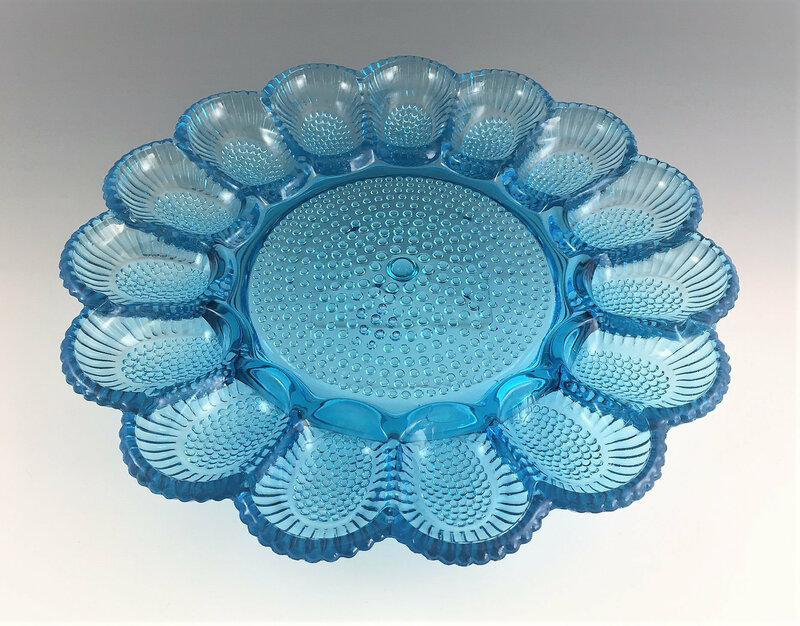 The plate measures about 11 inches in diameter. It is in excellent condition, free from any chips or cracks. 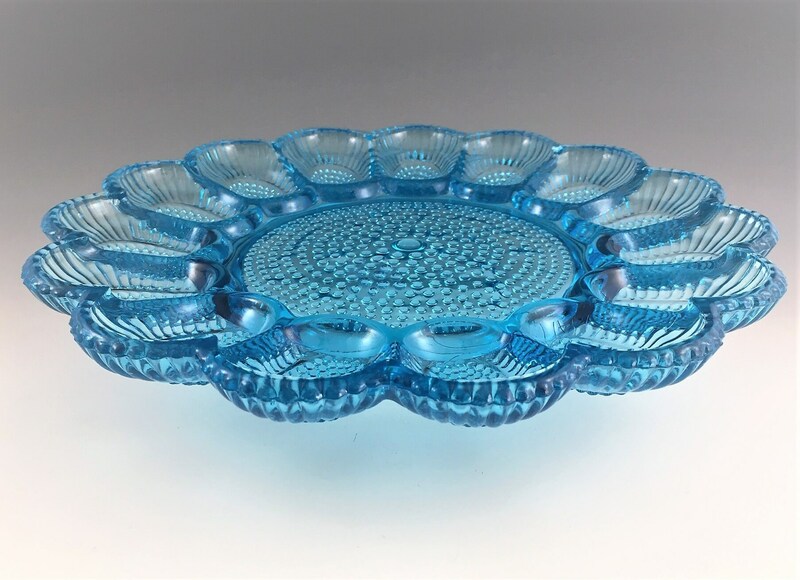 A wonderful piece for Springtime and Easter entertaining.